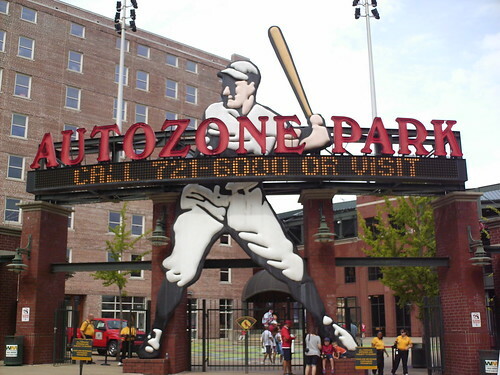 The entry plaza inside the main gate at AutoZone Park. 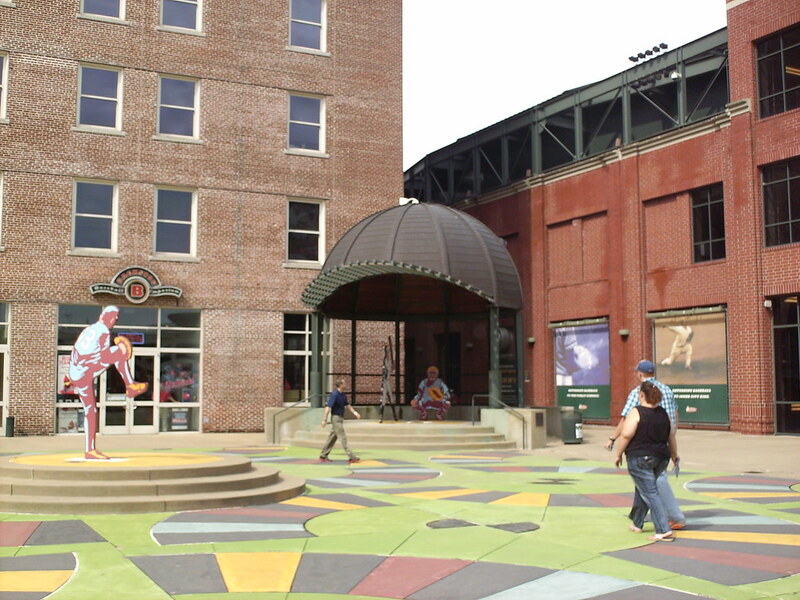 The souvenir store is located in an existing city building that was incorporated into the park. 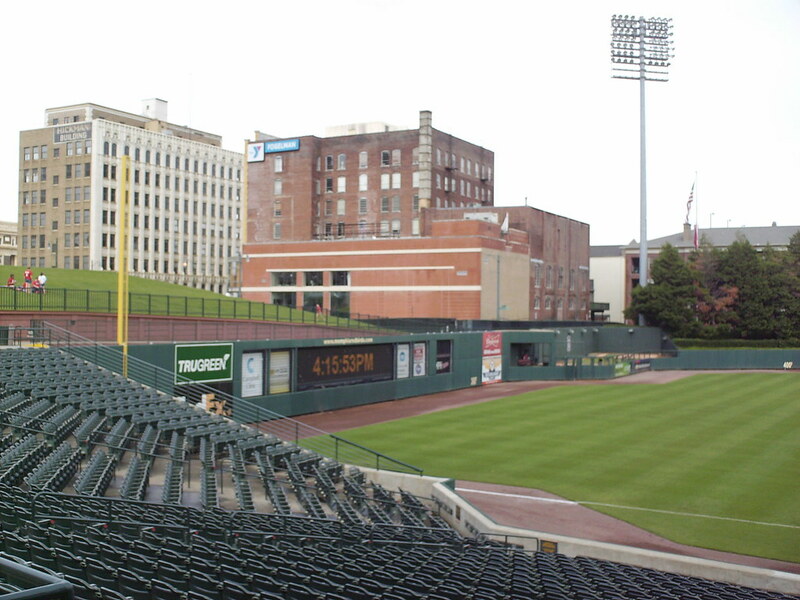 The grandstand at AutoZone Park, as seen from center field. 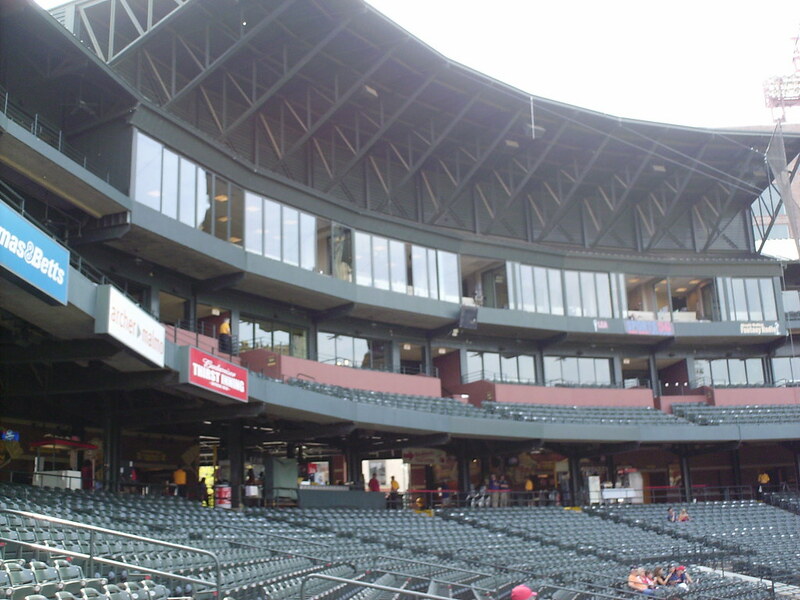 The pressbox and luxury boxes behind home plate. 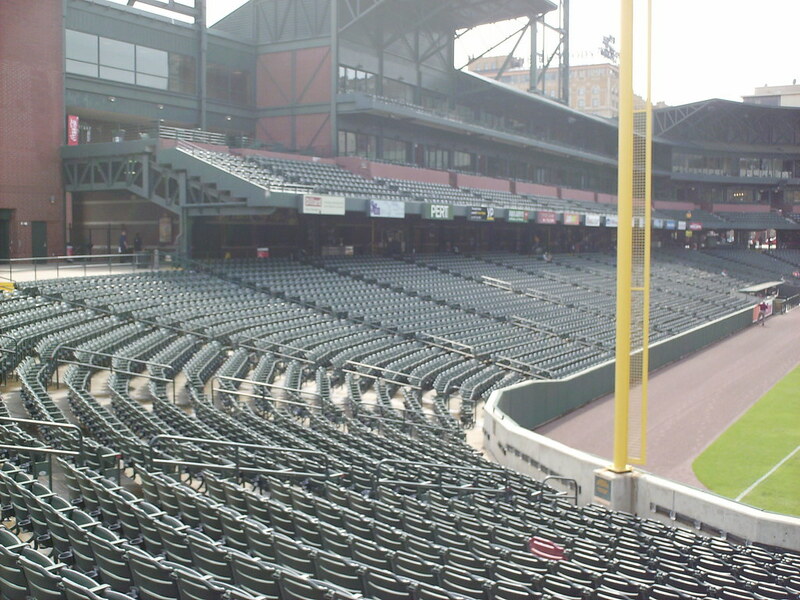 Until 2015, the main seating bowl wrapped all the way around the foul pole in right field. 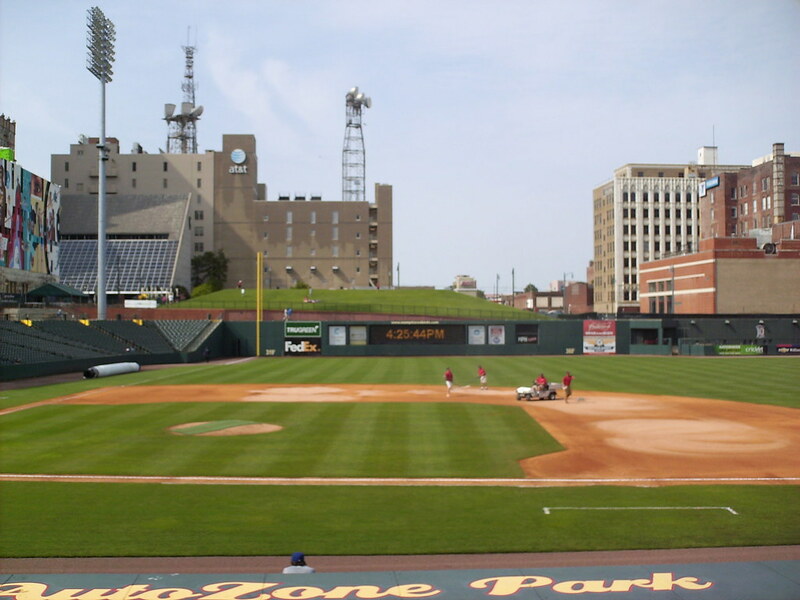 These seats were replaced by a berm for the 2015 season. 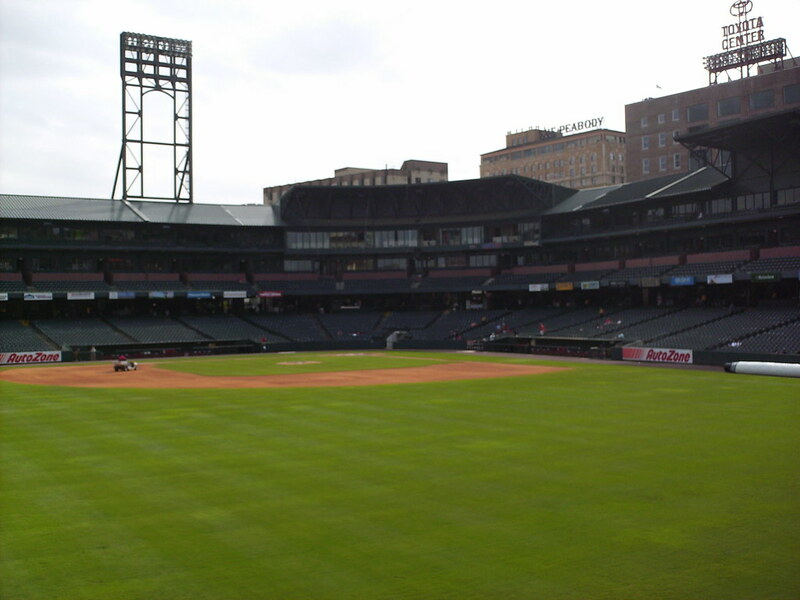 A single red seat remains on the right field berm, marking the landing spot of a home run hit by Albert Pujols during a Redbird exhibition game against the parent club St. Louis Cardinals. 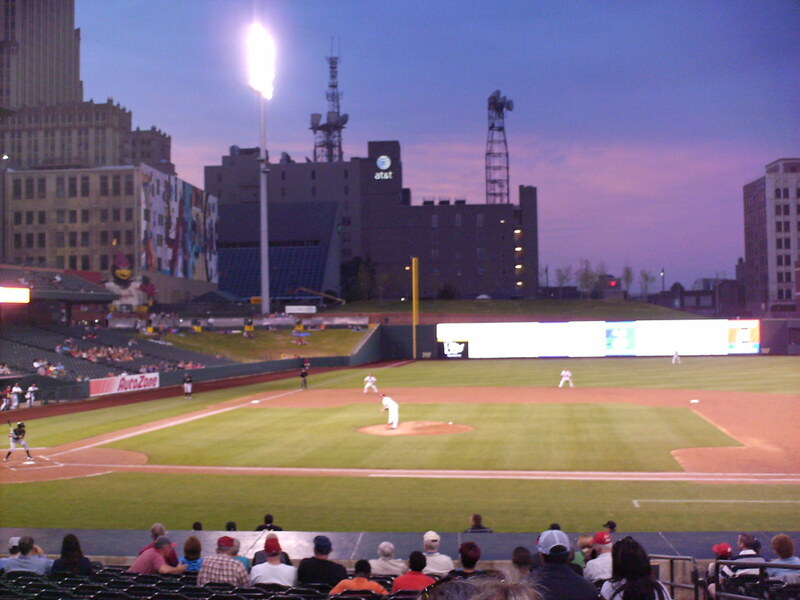 The third base stands run right up against the left field foul pole. 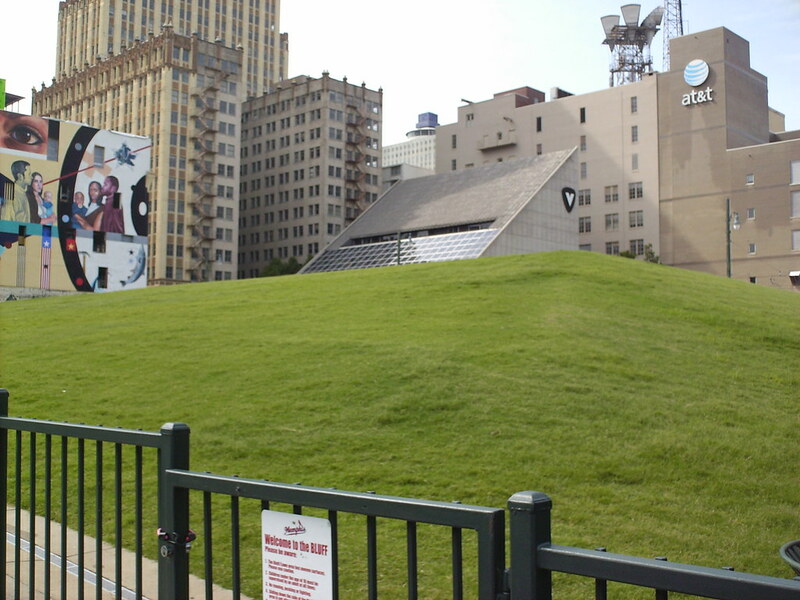 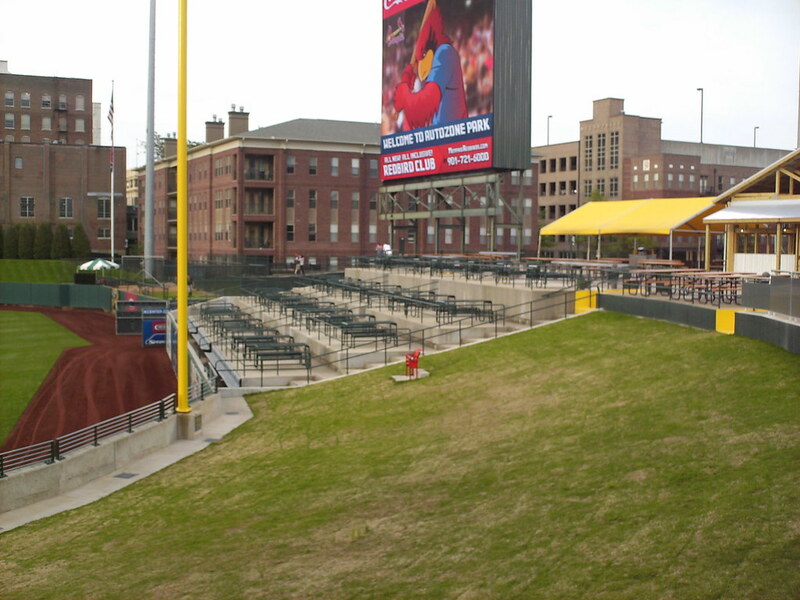 Berm seating is on a hill in left field, surrounded by the buildings of downtown Memphis. 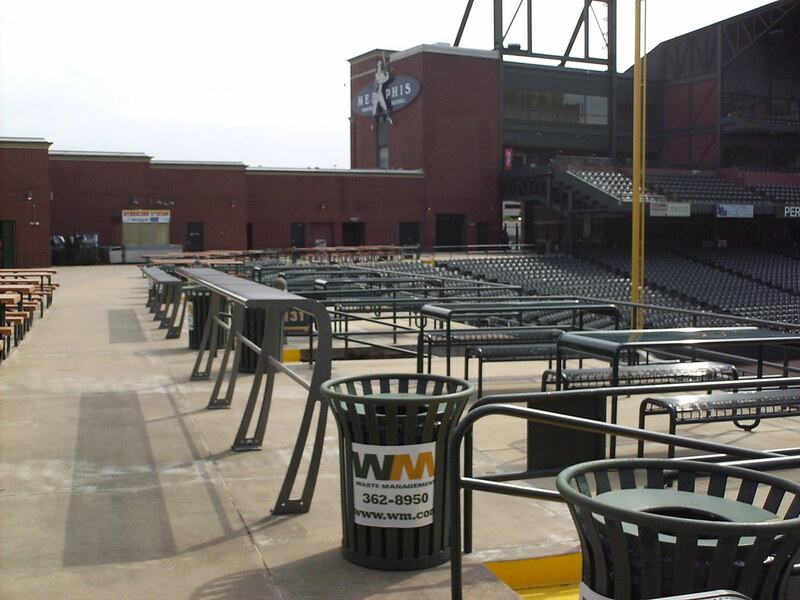 Picnic table seating and drink rails overlook the field from above the right field wall. 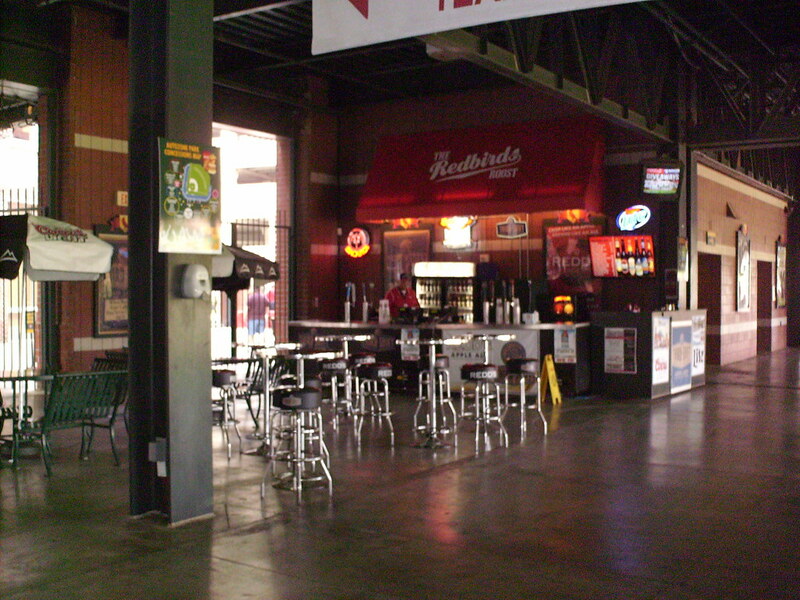 The Redbird Roost bar area on the third base side of the main concourse. 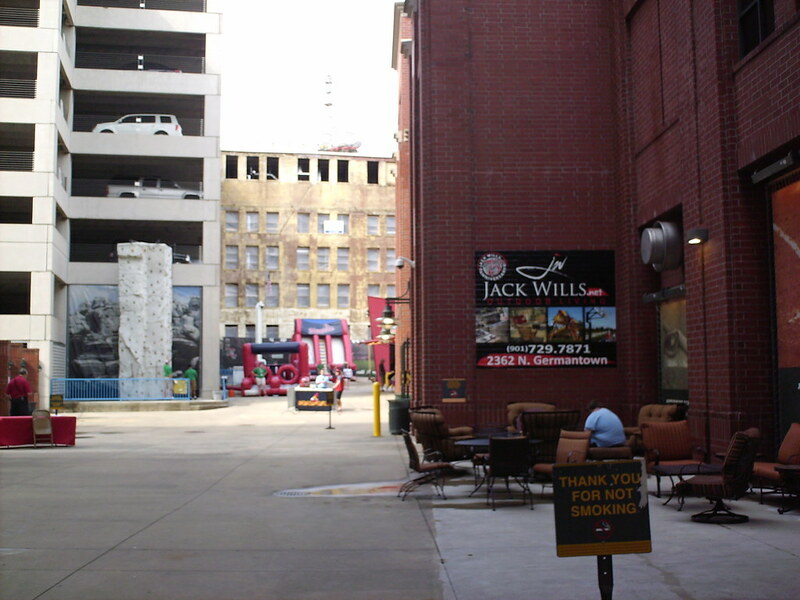 The children's play area is on the outer concourse, tucked between the buildings that surround the park. 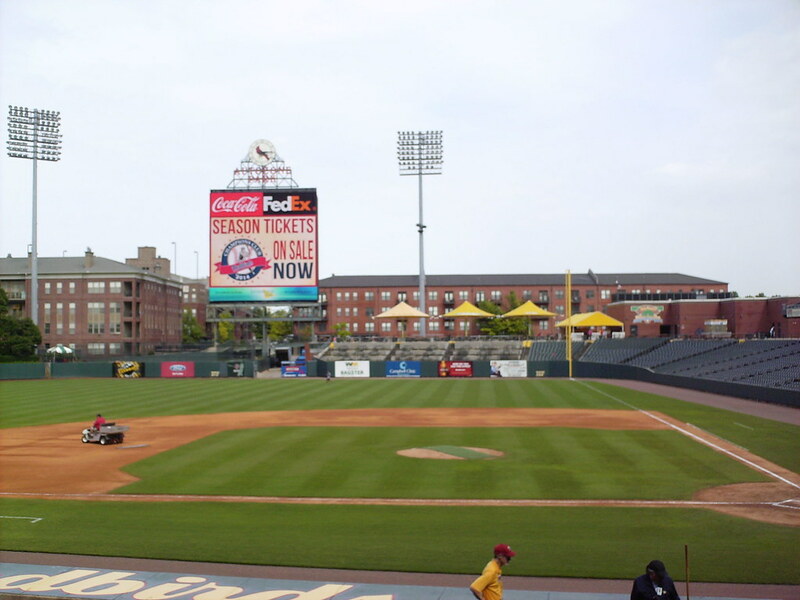 The stadium was integrated into downtown Memphis, just blocks from Beale Street. 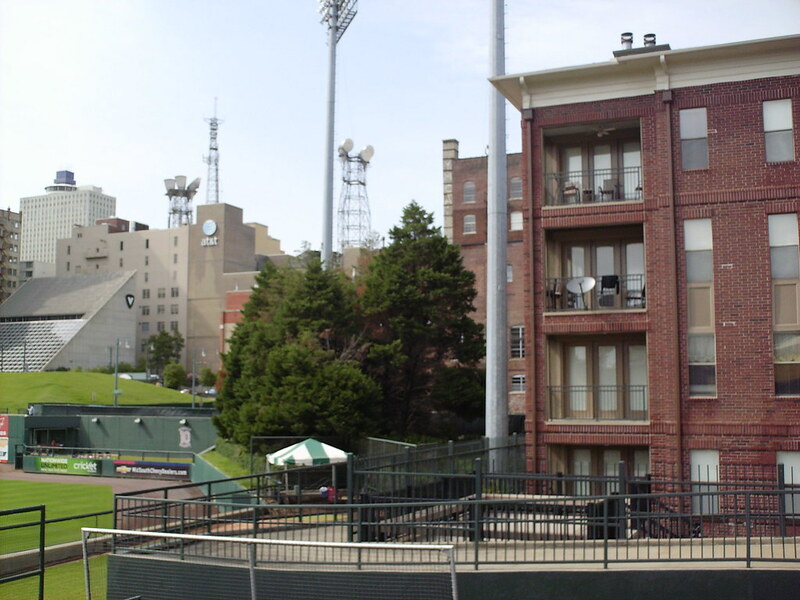 Apartment buildings run right up against the field in center field, giving residents a close up view of games. 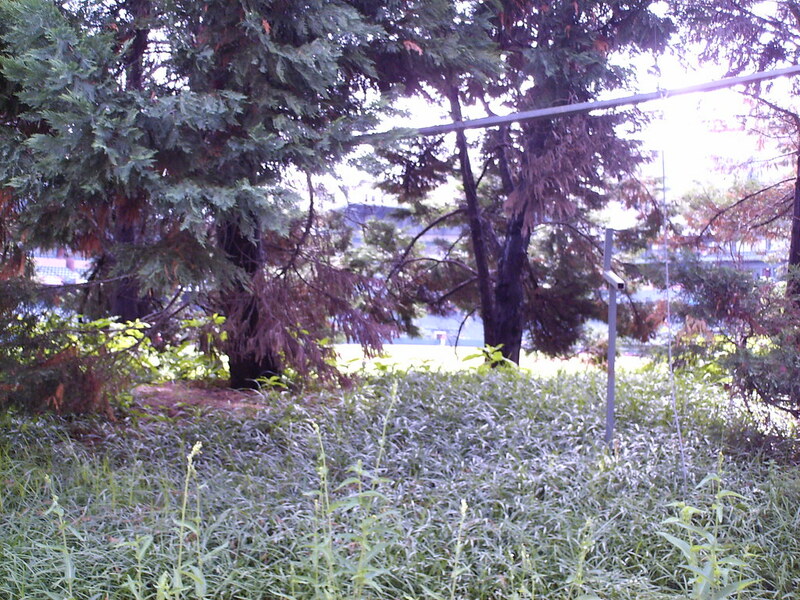 The view of the field through the bushes and shrubs that make up the center field batter's eye. 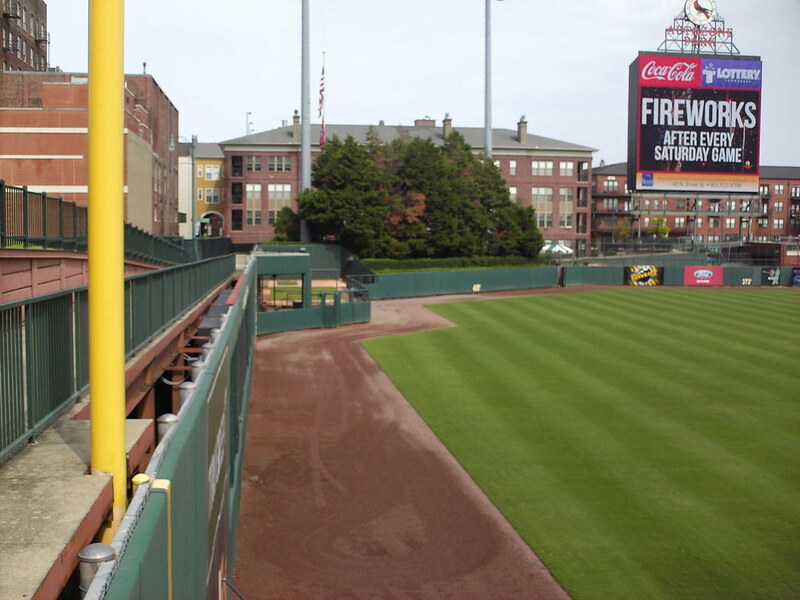 The scoreboard in right field, and the bullpen extending out into the field of play in left center field. 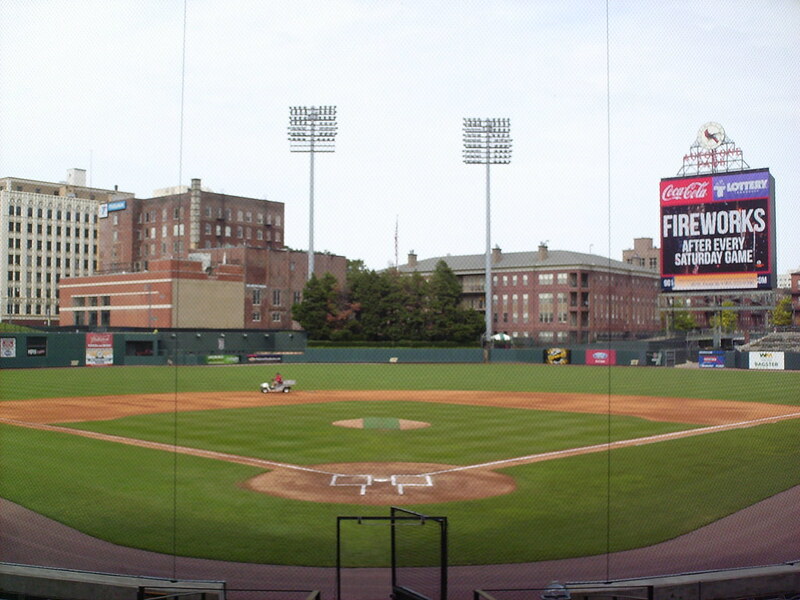 The Memphis Redbirds on the field during a game at AutoZone Park.